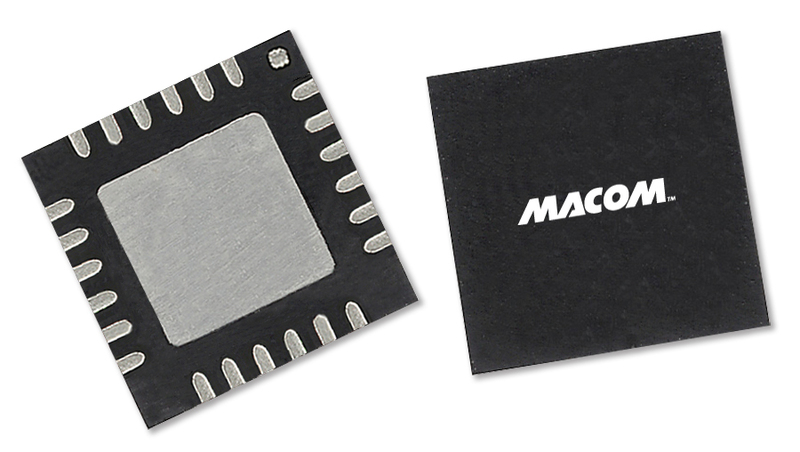 The MAPS-010144 is a GaAs pHEMT 4-bit digital phase shifter with an integrated CMOS driver in a 4 mm PQFN plastic surface mount package. Step size is 22.5° providing phase shift from 0° to 360° in 22.5° steps. This design has been optimized to minimize variation in attenuation over the phase shift range. The MAPS-010144 is ideally suited for use where high phase accuracy with minimum loss variation over the phase shift range are required. The 4 mm PQFN package provides a smaller footprint than is typically available for a digital phase shifter with an internal driver. Typical applications include communications antennas and phased array radars.